Handsome, talented, and possessed of an undeniably seductive accent. Yes, it was a pleasure having Stephen on the show, and as a bonus, he wanted to talk about Xavier Dolan, who is also all of those things. Stephen is passionate about film and never shy of an opinion, which is why we were so eager to finally have him on the show. He joined us to talk about some of the key films of the past month, including Disney’s sequel-to-a-classic Mary Poppins Returns, Paolo Sorrentino’s fictitious biopic Loro, M Night Shyamalan’s superheroic trilogy-capping Glass, and Aussie remake Storm Boy. We also take a moment to finally, once-and-for-all, no-backsies settle the big Oscars debate: is it empty pageantry that reduces artistic endeavor to a horse race, or are we simply dead inside? Someone will have their minds changed before this nine minute segment is up. 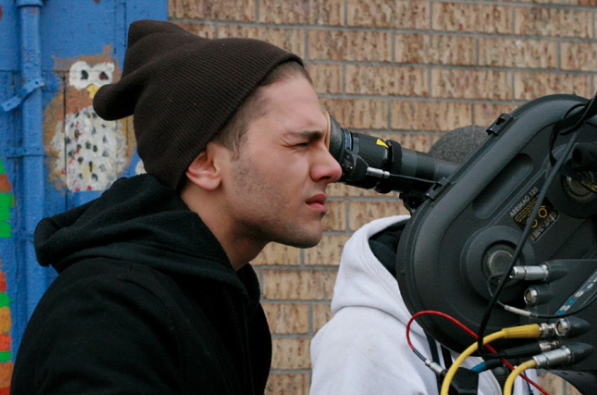 Then, Stephen takes us through the works of Xavier Dolan. He dives into the emotion and artistry that makes Dolan’s works so compelling. Sadly, Dolan is a thousand years old and not much to look at, so it’s a relief he’s good at making movies. And yeah, sorry about Stephen’s mic. We’re still not entirely sure what happened there. Okay, so why didn’t Julie Andrews do Mary Poppins Returns? Most of the media around this supports the idea that it because she didn’t want to step on Emily Blunt’s toes. Some tabloids said it was because she wanted more money. Upon reflection, we’re all inclined to believe the former. So when are we going to get to the fireworks factory? The latest episode of Hell Is For Hyphenates, featuring Stephen A Russell talking the films of Xavier Dolan, can be heard on Stitcher Smart Radio, subscribed to on iTunes, or downloaded/streamed directly from our website. This entry was posted in blogs and tagged stephen a russell, xavier dolan on January 31, 2019 by The Hyphenates. 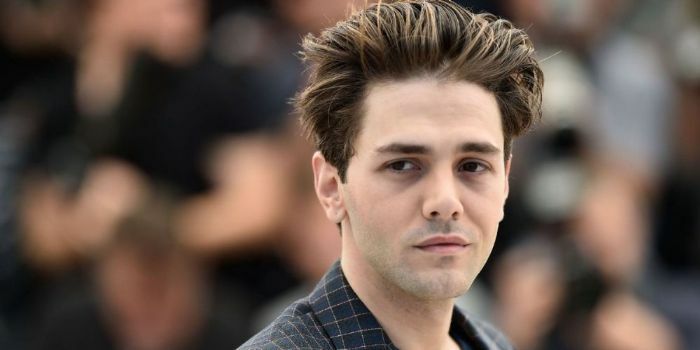 Prolific though Xavier Dolan is, we are (we hope) just at the beginning his career, and only his first six feature films are currently out in the world. This makes a cheat sheet slightly limiting, but not impossible. In fact, there’s an argument to be made that watching any two Dolan films would give you a comprehensive understanding of his work and style, so there are really no wrong answers. But we’ve chosen to kick the evening off with Heartbeats, a drama masquerading as a romcom, about two friends – a straight woman and a gay man – in love with the same bloke. Dolan’s sophomore feature is an angsty, unafraid, and very funny work that was the perfect follow-up to his debut, demonstrating a consistency in style, and range in both subject and genre. Follow that up with Mommy, a film set in an alternate version of Canada, in which parents can legally commit troublesome children to hospitals. It follows Die, her son Steve, and their neighbor Kyla, and the unlikely relationship that forms between them as they struggle for some sort of normalcy. If this sounds like your run-of-the-mill dour drama, that’s sort-of the point. It’s a film that lulls you into thinking it’s going to be a brutal domestic watch, then grips you with seductive montages and truly cinematic filmmaking that – tautological though that may be – make this drama soar far beyond what Hitchcock called “photographs of people talking”. It’s one film we would urge you to see on the big screen if the opportunity ever arises. Watch these two films back to back, and you’ll be left with a proper understanding of why everyone’s been raving about Dolan for the past ten years. Substitutions: If you can’t get or have already seen Heartbeats, seek out Tom At the Farm (2013). Like Heartbeats, this film features Dolan in a starring role, and follows city boy Tom is visiting the rural family of his deceased partner, soon finding himself in a strange, abusive, and very mysterious family dynamic. If you can’t get or have already seen Mommy, get your hands on I Killed My Mother (2009). Dolan’s debut feature is basically the prototype of Mommy, but from the point-of-view of the son instead of the mother. It’s a remarkably assured work for anyone, let alone a 19-year-old embarking on his first film. The Hidden Gem: Want to see something off the beaten path, a title rarely mentioned when people talk about the films of Xavier Dolan? Then you should track down It’s Only the End of the World (2016). This is hardly a forgotten Dolan film, but it’s perhaps his most controversial, dividing Dolan fans right down the middle. Some see it as being too far removed from his own voice (it was, like Tom at the Farm, adapted from someone else’s work), whereas others consider it to be entirely consistent with the themes and tone of Dolan’s previous work. Don’t be left out of the debate – watch it now and take a side! Go Watch Laurence Anyways: As we said earlier, only six films are available, and the method of constructing this cheat sheet meant we ended up leaving out what is arguably Dolan’s most acclaimed work. So here’s a new category to make sure nobody writes in. Go watch Laurence Anyways. 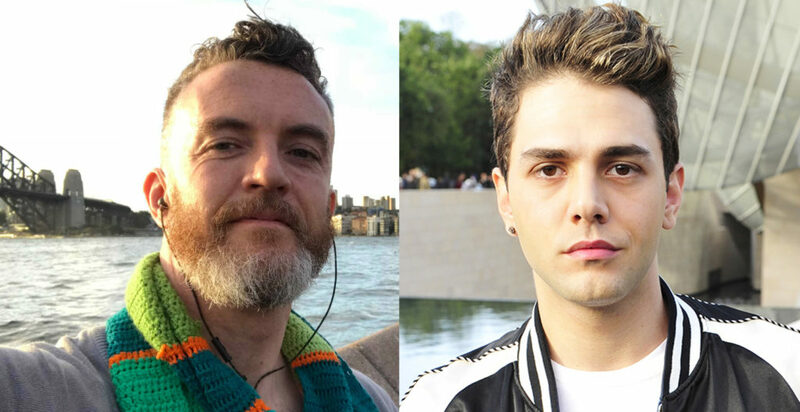 The next episode of Hell Is For Hyphenates, featuring Stephen A Russell talking the films of Xavier Dolan, will be released on 31 January 2019. This entry was posted in blogs and tagged cheat sheet, heartbeats, i killed my mother, it's only the end of the world, laurence anyways, mommy, stephen a russell, tom at the farm, xavier dolan on January 25, 2019 by The Hyphenates. New year, new us. Or the same old us. Which we’re hoping is how you like it, because we have no plans to change. Or do we? You’ll have to keep listening to find out. Enough with the mysterious foreshadowing, because we’re kicking off 2019 with Glasgow’s finest ever export, Stephen A Russell! Stephen is a writer and critic who has called Melbourne home for more than a decade. You’ve likely seen his film writing in SBS Movies, Metro magazine, The New Daily, Fairfax and The Saturday Paper, amongst others. 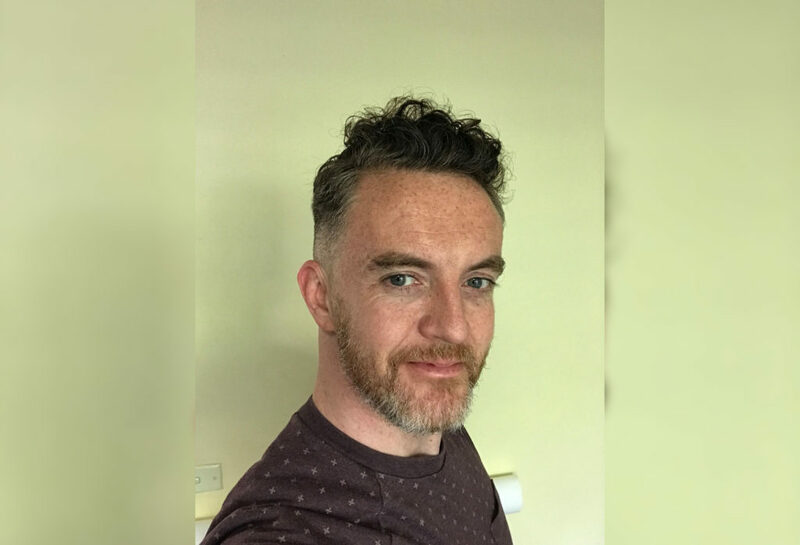 And if you haven’t read him, you’ve certainly heard his dulcet Scottish brogue and rogue snort during his fortnightly movie review spot on queer radio station Joy 94.9 FM, or his occasional cameos on Radio National. And if you’ve been in Melbourne recently, you may have seen him during one of the many post-film Q&As he’s hosted for major distributors and film festivals including MIFF and MQFF. But all of that is was merely prologue to Stephen’s greatest role to date: Hell Is For Hyphenates guest host! So which filmmaker has Stephen selected to talk about on the show? None other than Xavier Dolan! It’s been hard to ignore the work of the French-Canadian prodigy whose directorial debut, 2009’s I Killed My Mother, was released when he was only 21. The film was critically-acclaimed, premiering at the Cannes Film Festival and winning awards all around the world. Since then, he’s been the most prominent voice in queer cinema, averaging a new film almost every year with Heartbeats (2010), Laurence Anyways (2012), Tom at the Farm (2013), Mommy (2014), and It’s Only the End of the World (2016) all receiving rave reviews and cementing Dolan as a dyed-in-the-wool talent. 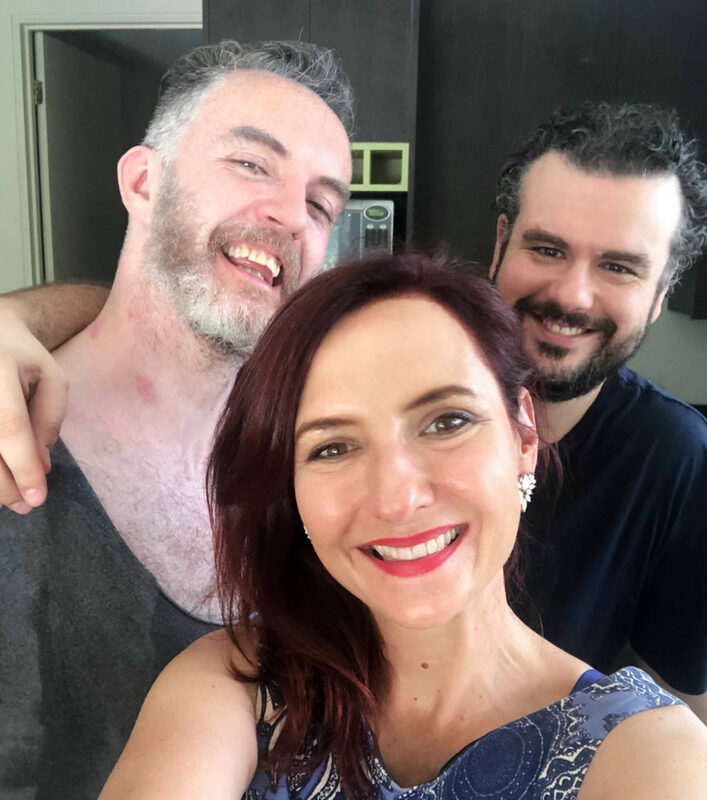 With The Death and Life of John F Donovan on the verge of release, and Matthias & Maxime wrapped filming, he’s clearly got a lot ahead of him. And he’s still months off turning 30. That’s a lot to process. But what is it about his films that Stephen loves so much? Join us on January 31 when we find out! This entry was posted in blogs and tagged stephen a russell, xavier dolan on January 22, 2019 by The Hyphenates.